NO REFUNDS WILL BE AVAILABLE AFTER JULY 18, 2019. Rallies are contracted affairs, and as we approach the actual event, we lose some flexibility to cancel reservations. To help with that, we will set up a Waiting List. If we can get someone from the wait list to take your spot, then we can refund your money. By the way, we will host a Happy Hour most every afternoon. 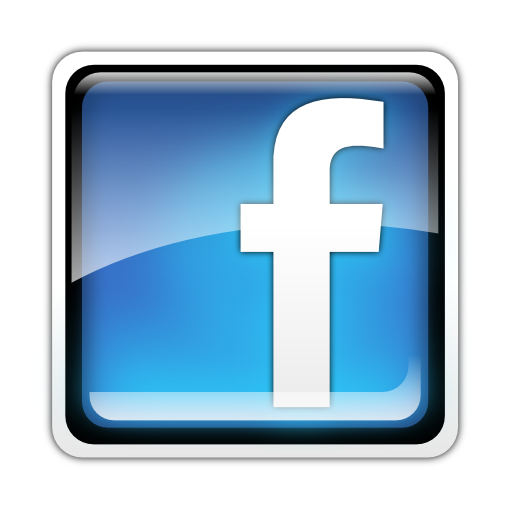 You'll want to come and visit with everyone and make some new friends. Many times, people like to bring snacks to munch on, but it's not required. It's just handy sometimes to have something to offer to others during conversation. If they have something to munch on, you will be able to get a word in edgewise! We will send out a Rally Agenda as we get closer to the event. We will certainly try to keep as much free time available for sightseeing. We will have one day entirely without obligations at the campground and that day, meals will be on your own so you have the entire day for exploring to your heart's content! 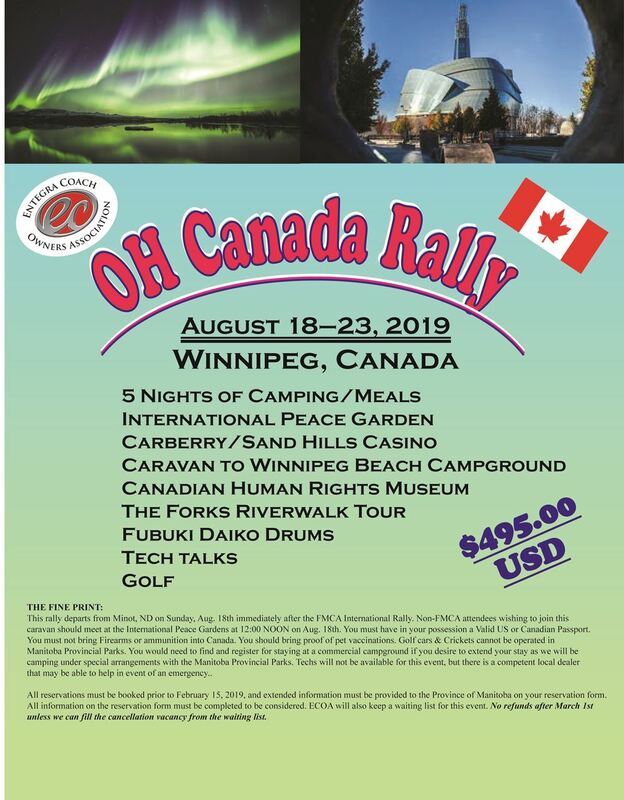 For those attending the FMCA International Rally in Minot, ND, the OH Canada Rally will depart from Minot on Sunday morning August 18th and head north to the International Peace Garden at the US, Canada border north of Dunseith, ND for our Border Crossing. For those who are not attending the FMCA, plan to meet up at the International Peace Gardens just north of Dunseith, ND at 12:00 Noon on August 18th. We will camp at Forest Hills RV Park in Carberry, Manitoba the evening of Aug. 18th, and will drive on into Winnipeg Beach the next day. You will need valid PASSPORTS, and you should also bring vaccination records for your pets. If you travel with a golf car or Cricket, be advised you cannot use that type of vehicle in the Provincial Park campground. Single person mobility carts are allowed. Needless to say, you'll need to leave your armaments and ammo at home, and do plan to take advantage of the very friendly exchange rate on alcoholic beverages by bringing a limited supply of your own. By the way, the Crown Royal Distillery is about 8 miles from the campground! Finally, it is very helpful for you to obtain your Club Name Badges, and wear them at all times. Some of us older folk need those badges to remember names, so wearing them is a kindness! CLICK on the button (RED) to order your Name Badges. They generally take about 6 weeks to get.